Chicana-tejana-lesbian-feminist poet, theorist, and fiction writer from south Texas. She was the editor of the critical anthologyMaking Face/Making Soul: Haciendo Caras(Aunt Lute Books, 1990), co-editor ofThis Bridge Called My Back: Writings by Radical Women of Color, and winner of the Before Columbus Foundation American Book Award. She taught creative writing, Chicano studies, and feminist studies at University of Texas, San Francisco State University, Vermont College of Norwich University, and University of California Santa Cruz. 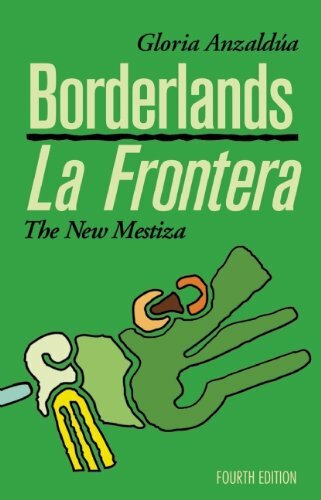 Anzaldúa passed away in 2004 and was honored around the world for shedding visionary light on the Chicana experience by receiving the National Association for Chicano Studies Scholar Award in 2005. Gloria was also posthumously awarded her doctoral degree in literature from the University of California, Santa Cruz. A number of scholarships and book awards, including the Anzaldúa Scholar Activist Award and the Gloria E. Anzaldúa Award for Independent Scholars, are awarded in her name every year. Pedro Noguera is a Professor in the Steinhardt School of Culture, Education, and Human Development at New York University.Aida Hurtado is a Professor in the Department of Psychology, University of California, Santa Cruz.Edward A Fergus is Assistant Training Specialist at the Metropolitan Center, The Steinhardt School of Culture, Education, and Human Development.